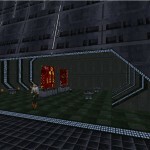 What: Multiplayer for our game platforms: Jedi Knight, XvT, XWA, etc. Check out the Holonet for more details. Nickserv operates the same way, so please register and feel free to join the channel anytime day or night. I’ll assign OPs at a later date once everyone gets setup. We have multiple platforms available to conduct both offline and online game events. This includes the Official SW game list posted on the Holonet, as well as other non-SW games with SW mods. The general consensus is to have one day/night a month for everyone to get online together and play in matches. We can start off casual then progress to some tournament style matches if that suits everyone’s schedules. I’ll post a thread on the Holonet to get everyone’s feedback for a suitable day/time each month. This one is fairly easy – we have our Facebook group, we have the Holonet forums, Email and IRC. If anyone needs their Holonet account reset- please let me know, we’d like to get some Holonet communications and activity underway immediately. I’m re-opening @imperialorder.net emails to be available for everyone – if you want one, let me know and I’ll send you the info. We also have IRC, I’m still debating which servers to use – our old Dynastynet one which is not very popular, but also quiet – or IRCnet which would gain us more exposure. More to come on the IRC front. 1 – The Official Story of the IO – which I am working on and in process of writing. This story spans from the day after the Battle of Endor up to approximately 19-20 years after the Battle of Yavin. (there will be a timeline soon). 2- The story of the day to day activities and the lives of our officers and our current timeframe (TBA) which will detail what happened when we all lost contact with one another to explain the long absence of activity, and get things going from a fresh perspective. More information will be forth coming from myself and Crystal on this project. 3 – Run-on and Shared Stories via the Holonet – This will be a free form fan fiction story types that anyone can join in on and put in their perspectives of the scenario put forward. 2 – Any member submitted levels and/or missions based on the creative writings done, or anything that strikes the creator’s fancy – we welcome any and everything! We will also be providing resources on how to create/edit missions and levels and where to go for how to’s and other information. I’m looking forward to this renewal in the Imperial Order and I welcome everyone to join along with us. It seems like only yesterday that I took a giant leap and posted the Imperial Order on the Internet. It’s hard to believe that 16 years have passed since I started the IO and all the life events that have taken place for me, as well as for all of our members. It has also continued to amaze me with the progression of technology from the early days and how 16 years on we are still drawn to that very first edition of TIE Fighter that has seen countless hours of gameplay and editing. It has and always will be a great honor to know every single member that has passed through the halls of the Imperial Order, I am truly grateful for being able to share my version and vision of the SW universe with all of you and I am even more grateful for the lasting friendships we have created. Here’s to the Imperial Order! Happy Birthday! What happened to September? It was here one day and gone the next. Oh that’s right, I signed up for The Old Republic and started running two characters pretty heavily. Even though the game play gets repetitive after a while (and what game doesn’t that requires you to level up), I’m really amazed at the graphics and how well each planetary location is done. I’m still exploring all the aspects of this game and continue to be impressed with it, I wish these games had been around 15 years ago! The storyline is also very interesting and keeps the player immersed in the game. The hours of dialogue alone and voice acting ability is also a huge bonus. That being said, I obviously have not done very much IO related other than combat spam users on this Journal and the Holonet. I still have a JK MP level to finish off and release, as well as figure out how to put together the myriad stories of the IO history/plot. More to follow…. I just noticed I hadn’t updated this journal the entire month, how time flies! Still doing some work here and there on the Coruscant level, hoping to finish it up sometime in the next couple of weeks and move on. Also been doing some writing here and there and working out some timeline adjustments, especially for the time period right after the battle of Endor which was never covered when we originally began. Very minor site update, I uploaded a file for the Briefing Room – this is a basic page that tells everyone what the IO is and what we’re about. Basically a FAQ. For the first time in over 12 years, the IO has a new JK MP level for release. The level is entitled Market Square Tower. This is a level I had started to design back in 1999 but never finished. A hard drive crash soon after erased it all except for in my mind…I have re-created it from memory with a few, new upgrades. Enjoy the level and feedback is welcome. Who wants to host a deathmatch? It’s been about 12 years since I last opened up JED to create/edit a Jedi Knight level. While some things came back to me immediately, I was surprised at how much I had forgotten about (techniques, tricks,etc) JK editing over time. Luckily, some of the main JK editing sites still have copies of their articles, programs and tools, and I am definitely using all of them. Right now I have 3 MP levels in the works, one based in the lower levels of Coruscant, one in an arena with multiple suspended platforms, and one that’s in a market-type village setting. For the last one, it’s a re-creation of one I made, but never released, in 1999 using the Baron’s Hed mats, always wanted to finish it, and here I am doing so. Time to build all three? Probably a month or two at my current rate, but I make no promises on delivery dates!